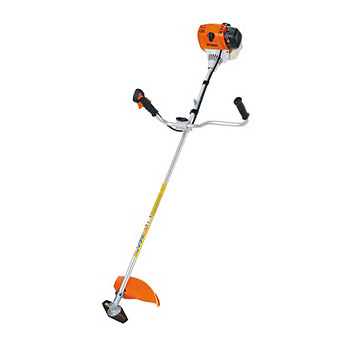 The ideal landscaping tool for cutting large areas of tough grass. For working on large areas of tough grass. Simplified starting, bike handle, control handle with stop button, 4-MIX® engine with larger tank for increased cutting time between filling, rigid drive shaft, Supplied with Advance Universal double shoulder harness, metal grass blade and AutoCut mowing head.